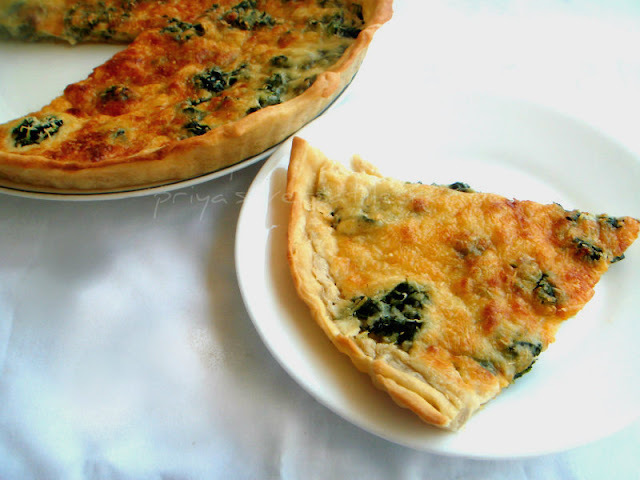 Quiche pronounced as keesh is a open pastry crust filled with savoury cheese and egg filling. The soft custard filling is made up of lots of eggs. 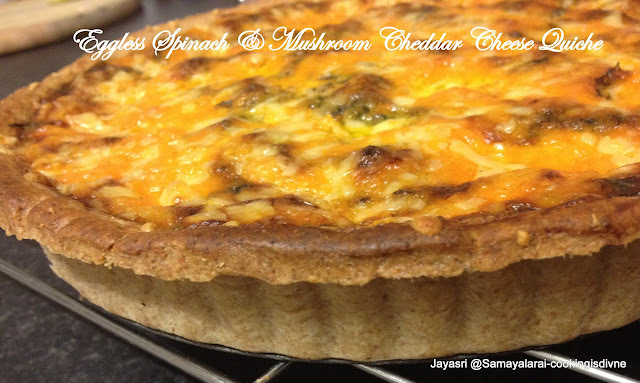 So when I was searching a savoury recipe for Baking Eggless Group Challenge for June, I thought quiche would be perfect. It was quite challenging to replace the eggs in the recipe. The recipe for the quiche was from Martha Stewart and the group of bloggers converted it into an eggless one. The substitutes every one used varies but I could see amazing results. This is a round up of all the experiments. You will thoroughly enjoy it. that’s gr8…nice round up..I totally enjoyed this challenge ..while baking as well as while eating….. Loved this one a lot. Thanks Gayatri.